Above Left above image: Wheeling into the ICU, : US Military Project Hope Intensive Care Unit courtesy of wikimedia commons. Forty years ago, during my training days working in the intensive care unit, a patient going into septic shock was a grave sign, and usually a preterminal event. In spite of the best treatment with high powered antibiotics and high dose hydrocortisone, these severely ill patients invariably succumbed. Survival was so rare, it was declared a miracle. While treatments have improved since the old days, septic shock still carries a fifty percent mortality rate. 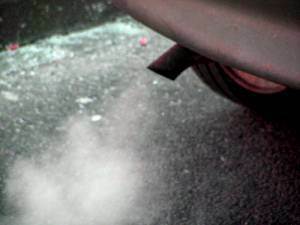 To understand the importance of selenium, consider the toxic fumes produced by your automobile. You might be surprised to know that your body makes the same foul stuff, similar to your car’s toxic exhaust. Instead of an exhaust pipe to get rid of the fumes, our bodies have the the selenoprotein anti-oxidant system. The main selenoprotein is glutathione peroxidase which works together with other antioxidants, such as Vitamin C and E, to remove the oxidative by-products of cellular energy production. Severe illness leads to depletion of selenoproteins and build up of oxidative by products which may overwhelm the body’s defenses leading to catastrophic outcomes. Replenishing selenium and other anti-oxidants in this setting makes sense, and is in fact extremely beneficial. Left above image: Auto Exhaust Courtesy of wikimedia commons. News Keeps Getting Worse for Vitamins By TARA PARKER-POPE The best efforts of the scientific community to prove the health benefits of vitamins keep falling short. A store shelf full of vitamins. CBS Multivitamins don’t work and may actually be harmful. That’s the opinion of a Harvard doctor and it’s causing quite a controversy. Study: Multi-vitamins not that effective- Some research has suggested that certain vitamins may protect against cancer or heart disease, but studies have been conflicting. The latest research, on more than 160,000 postmenopausal women, finds no cancer or heart disease reduction among those taking a multivitamin. LA Times – Vitamins aren’t a cure-all, In fact, taking them does nothing to fight cancer, studies find. December 21, 2008 by Karen Kaplan – They were some of the most promising medicines of the 1990s — wonder pills that appeared to fight cancer, heart disease, stroke and other ailments. Inside New Zealand: Are Vitamins Killing You? Many New Zealanders believe the way to good health and longer life is through the daily use of vitamin supplements. But not everyone agrees. Professor Rod Jackson of Auckland University says the scientific evidence is clear – people who pop vitamin pills die younger. “The best evidence is a review of over 60 randomised trials of almost a quarter of a million people worldwide – and the evidence is that those who take vitamins have an increased risk of death compared to those who don’t,” Professor Jackson explains. But despite our beliefs the latest research says that two vitamins – A and E – are potentially harmful when taken to excess. Furthermore there are some concerns about vitamin C as well. The concern is that many New Zealanders may be upping doses without being aware, mixing multi-vitamins, with fish oils and other assorted vitamin supplements. But how could it be that vitamins might be doing us harm? Selenium levels fall during periods of oxidative stress as occurs in critically ill patients with conditions such as severe sepsis, burns, and following trauma. Data from individual studies and meta-analyses suggests that selenium is an important adjuvant therapy in certain critically ill patients and supplementation of selenium may offer a mortality benefit. How Can Pharmaconutrition Benefit Patients in the ICU? Pulmonary Reviews Vol. 14, No. 5 May 2009. Nutritional supplementation can have a positive therapeutic impact on patient outcomes in the ICU, as evidenced by trials investigating the effects of arginine, zinc, glutamine, and combination therapy. NASHVILLE—Nutritional substrates can be used for critically ill patients not merely as supportive care, but as therapy that targets the underlying disease process and impacts specific patient outcomes, according to several investigators who spoke at the Society of Critical Care Medicine 2009 Critical Care Congress. Intensive Care Med. 2005 Mar;31(3):327-37. Epub 2004 Dec 17. Antioxidant nutrients: a systematic review of trace elements and vitamins in the critically ill patient. by Heyland DK, Dhaliwal R, Suchner U, Berger MM. Department of Medicine, Queen’s University, Kingston, ONT, Canada. CONCLUSIONS: Trace elements and vitamins that support antioxidant function, particularly high-dose parenteral selenium either alone or in combination with other antioxidants, are safe and may be associated with a reduction in mortality in critically ill patients. OBJECTIVE: Sepsis is associated with an increase in reactive oxygen species and low endogenous antioxidative capacity. We postulated that high-dose supplementation of sodium-selenite would improve the outcome of patients with severe sepsis and septic shock. DESIGN: Prospective randomized, placebo-controlled, multiple-center trial. SETTING: Eleven intensive care units in Germany. PATIENTS: Patients were 249 patients with severe systemic inflammatory response syndrome, sepsis, and septic shock and an Acute Physiology and Chronic Health Evaluation (APACHE) III score >70. INTERVENTIONS: Patients received 1000 microg of sodium-selenite as a 30-min bolus injection, followed by 14 daily continuous infusions of 1000 microg intravenously, or placebo. MEASUREMENTS AND MAIN RESULTS: The primary end point was 28-day mortality; secondary end points were survival time and clinical course of APACHE III and logistic organ dysfunction system scores. In addition, selenium levels in serum, whole blood, and urine as well as serum glutathione-peroxidase-3 activity were measured. From 249 patients included, 11 patients had to be excluded. The intention-to-treat analysis of the remaining 238 patients revealed a mortality rate of 50.0% in the placebo group and 39.7% in the selenium-treated group (p = .109; odds ratio, 0.66; confidence interval, 0.39-1.1). A further 49 patients had to be excluded before the final analysis because of severe violations of the study protocol. In the remaining 92 patients of the study group, the 28-day mortality rate was significantly reduced to 42.4% compared with 56.7% in 97 patients of the placebo group (p = .049, odds ratio, 0.56; confidence interval, 0.32-1.00). In predefined subgroup analyses, the mortality rate was significantly reduced in patients with septic shock with disseminated intravascular coagulation (n = 82, p = .018) as well as in the most critically ill patients with an APACHE III score > or =102 (>75% quartile, n = 54, p = .040) or in patients with more than three organ dysfunctions (n = 83, p = .039). selenite reduces mortality rate in patients with severe sepsis or septic shock. Crit Care Med. 1999 Sep;27(9):1807-13. Selenium replacement in patients with severe systemic inflammatory response syndrome improves clinical outcome. Angstwurm MW, Schottdorf J, Schopohl J, Gaertner R.
Intensive Care Unit, Klinikum Innenstadt, University of Munich, Department of Internal Medicine, Germany. To determine the effect of selenium replacement on morbidity and mortality in patients with systemic inflammatory response syndrome (SIRS). DESIGN: Controlled, randomized prospective open-label pilot study comparing patients with and without selenium replacement. SETTING: Intensive care unit of a university hospital for internal medicine. PATIENTS: Forty-two patients with SIRS caused by infection and a minimal Acute Physiology and Chronic Health Evaluation (APACHE) II score of 15 points on the day of admission were included. The selenium replacement group of patients (Se+; n = 21) received sodium selenite for 9 days (535 microg [6.77 micromol] for 3 days, 285 microg [3.61 micromol] for 3 days, and 155 microg [1.96 micromol] for 3 days) and thereafter, 35 microg (0.44 micromol) per day iv. The control group (Se-, n = 21) received 35 microg of sodium selenite throughout the total treatment period. INTERVENTIONS: Morbidity and clinical outcome was monitored by scoring using the APACHE III score, occurrence of acute renal failure, need and length of mechanical ventilation, and hospital mortality. Blood samples on days 0, 3, 7, and 14 were analyzed for serum selenium concentration and glutathione peroxidase (GSH-Px) activity. MEASUREMENTS AND MAIN RESULTS: The median APACHE II score at admission, age, gender, underlying diseases, serum selenium levels, and GSH-Px activities at admission were identical in both groups. In Se+ patients, serum selenium levels and GSH-Px activity normalized within 3 days, whereas in controls, both variables remained significantly low (p < .0001). The APACHE III score decreased significantly in both groups but was significantly lower in the Se+ group (day 3, p > .05; day 7, p = .018; and day 14, p = .045 Se+ compared with Se-). Hemodialysis with continuous veno-venous hemodialysis because of acute renal failure was necessary in nine Se- compared with three Se+ patients (p = .035). Overall mortality in the Se- group was 52% vs. 33.5% in the Se+ group (p = .13). CONCLUSIONS: Selenium replacement in patients with SIRS seems to improve clinical outcome and to reduce the incidence of acute renal failure requiring hemodialysis. in 30 septic patients upon admission to the intensive care unit and found statistically significant correlations between trends in Se concentrations and clinical course. JPEN J Parenter Enteral Nutr. 2008 Jul-Aug;32(4):384-8. Bryan R. Collier, Aviram Giladi, Lesly A. Dossett, Lindsay Dyer, Sloan B. Fleming,Bryan A. Cotton, Vanderbilt University Medical Center, Nashville, Tennessee. Background: The profound oxidative stress that occurs following injury results in significant depletion of many endogenous antioxidants (vitamin C, E, selenium). Increasing evidence suggests antioxidant supplementation reduces infectious complications and organ dysfunction following injury and hemorrhagic shock. The purpose of this study was to evaluate the impact of high-dose antioxidant administration on the mortality rate of acutely injured patients. Methods: In October 2005, we implemented a 7-day high-dose antioxidant protocol for acutely injured patients admitted to our trauma center. 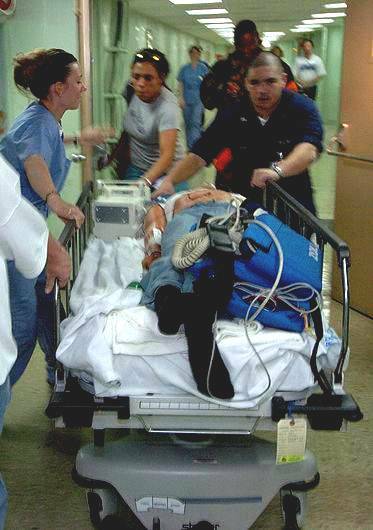 A retrospective cohort study, evaluating all patients admitted to the trauma service between October 2005 and September 2006 following protocol implementation (AO+), was performed. The comparison cohort (AO–) was made up of those patients admitted in the year prior to protocol implementation. Results: A total of 4,294 patients met criteria (AO+, N = 2,272; AO–, N = 2022). Hospital (4 vs 3 days, P < .001) and ICU (3 vs 2 days, P = .001) median length of stays were significantly shorter in the AO+ group. Mortality was significantly lower in the AO+ group (6.1% vs 8.5%, P = .001), translating into a 28% relative risk reduction for mortality in patients exposed to high-dose antioxidants. After adjusting for age, gender, and probability of survival, AO exposure was associated with even lower mortality (OR 0.32, 95% CI 0.22-0.46). Patients with an expected survival <50% benefited most (OR 0.24, 95% CI 0.15-0.37). Conclusions: A high-dose antioxidant protocol resulted in a 28% relative risk reduction in mortality and a significant reduction in both hospital and ICU length of stay. This protocol represents an inexpensive intervention to reduce mortality/morbidity in the trauma patient. High-dose antioxidant administration is associated with a reduction in post-injury complications in critically ill trauma patients. by Giladi AM, Dossett LA, Fleming SB, Abumrad NN, Cotton BA. Department of Surgery, University of Michigan, Ann Arbor, MI, United States. Intervention consisted of intravenous trace element supplements (copper 2.5 to 3.1 mg/day, selenium 315 to 380 μg/day, and zinc 26.2 to 31.4 mg/day) for 8 to 21 days versus placebo. A significant reduction in number of infections was observed in the supplemented patients, which decreased from 3.5 ± 1.2 to 2.0 ± 1.0 episodes per patient in placebo group (p < 0.001). This was related to a reduction of nosocomial pneumonia, which occurred in 16 (80%) patients versus seven (33%) patients, respectively (p < 0.001), and of ventilator-associated pneumonia from 13 to six episodes, respectively (p = 0.023). Dr Avenell reported a significant reduction in infection rates, such as pneumonia and c. difficile, with selenium supplemented parenteral nutrition (PN) in critically ill patients as long as the PN was administered for at least 5 days. 10 centres in Scotland recruited adult patients who had been in critical care for 48 hours and required PN for at least half of their nutritional requirements. In the selenium arm, no clear benefit on mortality was observed but significant reduction in infection rates was observed as described above. Respirology. 2009 Nov;14(8):1180-7. Epub 2009 Sep 16. Serum trace element levels in COPD patient: the relation between trace element supplementation and period of mechanical ventilation in a randomized controlled trial. El-Attar M, Said M, El-Assal G, Sabry NA, Omar E, Ashour L.
Chest Department, Faculty of Medicine, Ain Shams University, Cairo, Egypt. The aim of the present study is to investigate the effect trace elements (Se, Mn and Zn) intravenously administered on the period the COPD patients spend on mechanical ventilation. METHODS: In a randomized double-blinded controlled trial a set of 120 subjects (40 normal volunteers and 80 COPD) were recruited. Serum concentration levels of Se, Mn and Zn were determined for all enrolled subjects with Inductively Coupled Plasma spectroscopy. COPD patients received intravenous supplementation of the above trace elements and the period the patients spent on mechanical ventilation was determined. RESULTS: There was a significant reduction (P = 0.013) in the period the patients with COPD spent on the mechanical ventilation when received intravenous supplementation (9.4 +/- 7.3 days) compared with the COPD patients who received placebo (17.8 +/- 7.6 days). CONCLUSIONS: Trace element (Se, Mn and Zn) status is altered in critically ill patients with COPD. The supplementation achieved a reduction in the period those patients spent on the mechanical ventilation. (18) Selenium and Vit E down regulates inflammatory response in animal model of experimental vasculitis. Zhonghua Bing Li Xue Za Zhi. 2000 Aug;29(4):279-83. [Study on the modulation of the inflammatory response in mouse hepatic vasculitis with sodium selenite and vitamin E antioxidants] [Article in Chinese] by Xu M, Hou J, Wu Y, Ling Y. Institute of Basic Medical Sciences, Peking Union Medical College and Chinese Academy of Medical Sciences, Beijing 100005, China. OBJECTIVE: To identify the regulatory effect of sodium selenite and vitamin E on complement-neutrophil-reactive oxygen species (ROS)-activation feedback mechanism-mediated inflammatory response. METHODS: The modulation of inflammatory response through the complement-neutrophil-ROS-activation feedback cycle with sodium selenite and alpha-tocopherol was verified both in vitro tests by chemiluminescense technique and complement fixation to detect ROS production and complement activation as well as in vivo mouse hepatic vasculitis models to test for the regulation of the inflammatory response. RESULTS: Convincing results were observed as the incidence of hepatic vasculitis dropped from 100% in the control group down to 20% in the seleno-antioxidant vitamin E treated group, indicating down regulation of the inflammatory response. CONCLUSIONS: Elucidation of the mechanism of complement mediated inflammatory response is a promising area for new therapeutic developments in the modulation of inflammatory response. This study suggests that selenium, vitamin E and other antioxidants may be the useful therapeutic agents in those disorders in which upregulation of inflammatory response has been implicated, e.g. ischemia, reperfusion injury, severe sepsis, rheumatoid arthritis and hepatitis. Megadose vitamins in bladder cancer: a double-blind clinical trial. Lamm DL, Riggs DR, Shriver JS, vanGilder PF, Rach JF, DeHaven JI. Department of Urology, West Virginia University School of Medicine, Morgantown. Epidemiological and laboratory studies suggest that vitamin supplements may be helpful in the prevention of some cancers but clinical trials to date have failed to demonstrate protection with naturally occurring vitamins. Without substantiation of the highly touted benefits of vitamins, few physicians who care for cancer patients have recommended their use. A total of 65 patients with biopsy confirmed transitional cell carcinoma of the bladder enrolled in a randomized comparison of intravesical bacillus Calmette-Guerin (BCG) with or without percutaneous administration was also randomized by closed envelope to therapy with multiple vitamins in the recommended daily allowance (RDA) versus RDA multivitamins plus 40,000 units vitamin A, 100 mg. vitamin B6, 2,000 mg. vitamin C, 400 units vitamin E and 90 mg. zinc. The addition of percutaneous BCG did not significantly lessen tumor recurrence but recurrence after 10 months was markedly reduced in patients receiving megadose vitamins. The 5-year estimates of tumor recurrence are 91% in the RDA arm and 41% in the megadose arm (p = 0.0014, Mantel-Cox). Overall recurrence was 24 of 30 patients (80%) in the RDA arm and 14 of 35 (40%) in the high dose arm (p = 0.0011, 2-tailed Fisher’s exact test). Megadose vitamins A, B6, C and E plus zinc decrease bladder tumor recurrence in patients receiving BCG immunotherapy. Further research will be required to identify which ingredient(s) provide this protection. A Large Prospective Study of SEP15 Genetic Variation, Interaction with Plasma Selenium Levels, and Prostate Cancer Risk and Survival. Penney KL, Schumacher FR, Li H, Kraft P, Morris JS, Kurth T, Mucci LA, Hunter DJ, Kantoff PW, Stampfer MJ, Ma J. The role of selenium in prostate cancer (PCa) risk remains controversial, but many epidemiologic studies suggest an inverse association with more aggressive disease. A recently discovered selenoprotein, SEP15, which is highly expressed in the prostate, may play a role either independently or by modifying the effects of selenium. We genotyped four common single-nucleotide polymorphisms capturing common variation (frequency >5%; R(2) > 0.8) within SEP15, as well as rs5859 in the 3′ untranslated region, previously reported to reduce the efficiency of selenium incorporation into SEP15. We examined the association of these single-nucleotide polymorphisms with PCa risk and PCa-specific mortality, as well as their interactions with plasma selenium levels, in the Physicians’ Health Study. In this nested case-control study (1,286 cases and 1,267 controls), SEP15 polymorphisms were not significantly associated with PCa risk. However, among the cases, three variants were significantly associated with PCa-specific mortality [rs479341 hazard ratio (HR), 1.94; 95% confidence interval (95% CI), 1.15-3.25; rs1407131 HR, 2.85; 95% CI, 1.45-5.59; rs561104 HR, 1.54; 95% CI, 1.12-2.11] with a recessive model. Additionally, rs561104 significantly modified the association of plasma selenium with PCa survival (P(interaction) = 0.02); an inverse relationship of high levels of selenium with PCa mortality was apparent only among those without the increased risk genotype. This study provides evidence that SEP15 genetic variation may influence PCa mortality. Additionally, the association of selenium with PCa mortality was modified by a variant, suggesting the possibility that some men with PCa may benefit more from selenium than others, depending on their genotype. Cancer Prev Res; 3(5); 604-10. (c)2010 AACR. J Trace Elem Med Biol. 2010 Apr;24(2):119-23. Epub 2009 Oct 23. Supplementation of selenium reduces chemical hepatocarcinogenesis in male Sprague-Dawley rats. Alwahaibi N, Mohamed J, Alhamadani A. Department of Biomedical Sciences, Faculty of Allied Health Sciences, Universiti Kebangsaan Malaysia (UKM), Julan Raja Muda Abdul Aziz, 50300 Kuala Lumpur, Malaysia. The results showed that the number and sizes of hepatic nodules in pre- and post-selenium treatment groups significantly decreased (P<0.05) compared with the positive control. Microscopic analysis of pre- and post-selenium groups showed that the majority of nodules were hyperplastic with preserved liver architecture, whereas the positive control was full of neoplastic nodules with a completely disrupted liver architecture. Hence, pre- and post-selenium treatments can reduce the extent of liver cancer on chemically induced hepatocarcinogenesis in rats. 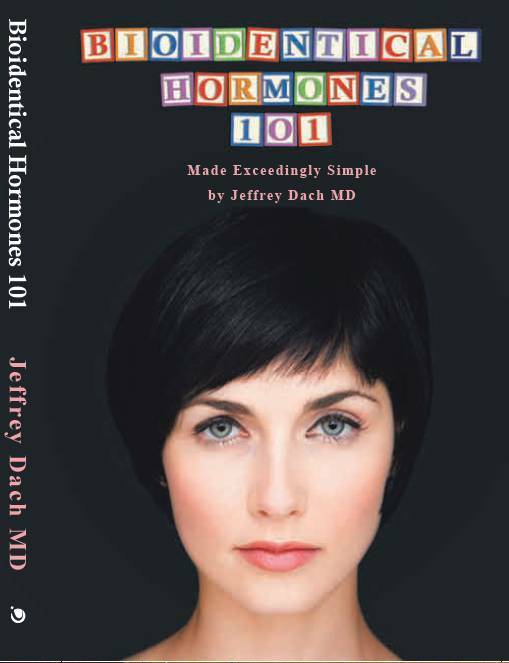 September 02, 2009 Selling the “Vitamins Don’t Work” Myth: What’s the Real Story? by John Pittman, MD In recent years, newspapers have been trumpeting the news that vitamins C, D and E—as well as multi-vitamins preparations—do not prevent heart attack, stroke or cancer. These reports have led to a great deal of confusion and disillusionment among health-conscious consumers, many of whom already take supplements and are genuinely interested in practical ways to bolster their health and well-being. But is it really true that vitamin supplements are a waste of money and possibly even harmful for you? What are we to make of recent media pronouncements that most people are popping these pills without deriving any benefit whatsoever? of plasma selenoprotein P in septic shock and its role in endothelium protection. Copyright (c) 201314 Jeffrey Dach MD All Rights Reserved. This article may be reproduced on the internet without permission, provided there is a link to this page and proper credit is given.